I am grateful to the National Tramway Museum for permission to use the photographs on this page. 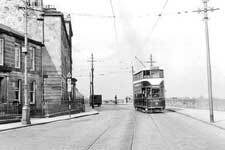 The first tramline in the Granton area dates from 1909, but to understand the history we need to look a little further afield. From the early days and right up to the present time, transport in the area formed part of the network serving Edinburgh and Leith. In 1909 (and until 1920) the eastern part of the Granton area, to the west of the Wardie Burn, formed part of the Burgh of Leith. 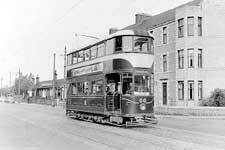 Leith had horse trams in the later part of the 19th century, operated by a private company called the Edinburgh Street Tramways Company, which also ran tramways in the City of Edinburgh. But the Town Council bought the network from the company and modernised it, starting to run electric cars in 1905. At that time the western end of the system was at Newhaven, where the line along Pier Place turned onto Craighall Road and ran up ‘The Cut’ towards Stanley Road. 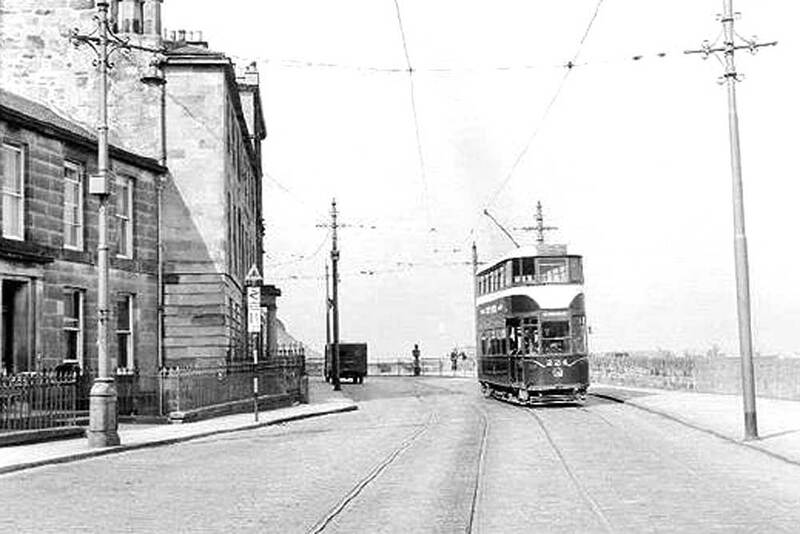 A horse bus connected the tramcar terminus with the Chain Pier Bar and Granton. 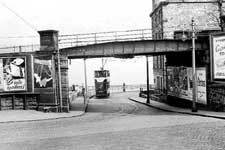 In 1909 a new line was built running along beside the sea on Starbank Road and Trinity Crescent, then round the z-bend under the railway at Trinity Bridge and along Lower Granton Road to Granton Square. The line curved through the west side of the square and continued up Granton Road to Ferry Road, where it turned at right angles and ran along Ferry Road to connect with the existing line at the Ferry Road / Newhaven Road junction. A small part of this route, at Granton Square and just to the east of it, was outside Leith. 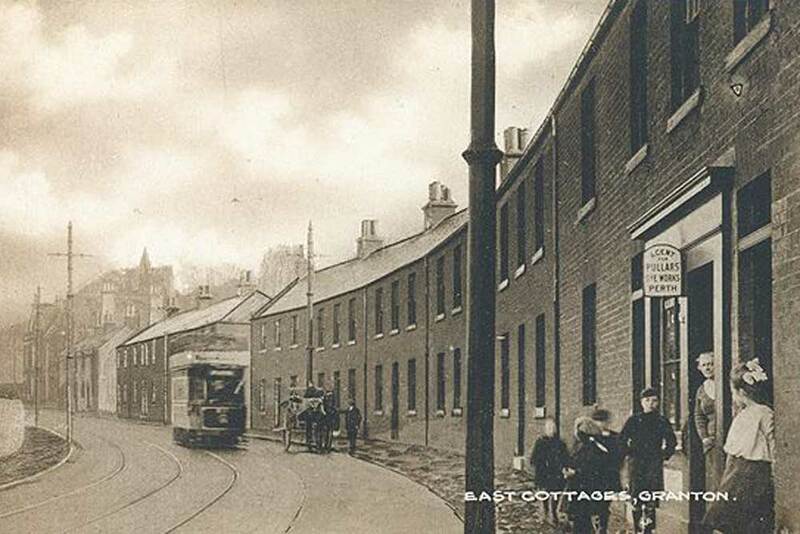 A Leith open top electric tram at East Cottages (now part of Lower Granton Road) sometime around the First World War. The map below shows the Leith tram system in 1920, by which time it had reached its fullest extent. A map of the Leith tramway system in 1920. Leith Corporation system in blue, Edinburgh Corporation in red, Leith burgh boundary in pale yellow. Dotted lines are non-passenger lines – e.g. into depots. 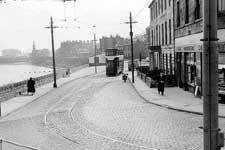 Up to 1920, the Edinburgh boundary was on Ferry Road at Goldenacre and also half way up Leith Walk at Pilrig Street. Edinburgh's modernisation, starting in the 1880s, was from horse drawn tramcars to cable cars. This system used a moving steel cable just below the street, powered by stationary steam engines. THere were stationary engines at Shrubhill, Tollcross and Henderson Row. The tramcars had no motors of their own – they moved when the driver – or ‘gripperman’ – clamped the car to the moving cable. The cars had steel fittings below them extending through a narrow metal-edged slot between the rails, with vice-like jaws that could be opened or closed on the cable by winding a control wheel on the tramcar platform. A system quite like this still operates in San Francisco. The Edinburgh system was converted to electric operation between 1922 and 1924, following the amalgamation of Edinburgh and Leith in 1920 and at the same time as the completion of the first phase of the new Portobello Power Station at Kings Road. The routes were re-organised to give longer through routes. Previously these terminated, for example, at Goldenacre or Pilrig. These routes remained largely unchanged until the end of tramway operation, although there were various adjustments over the years. 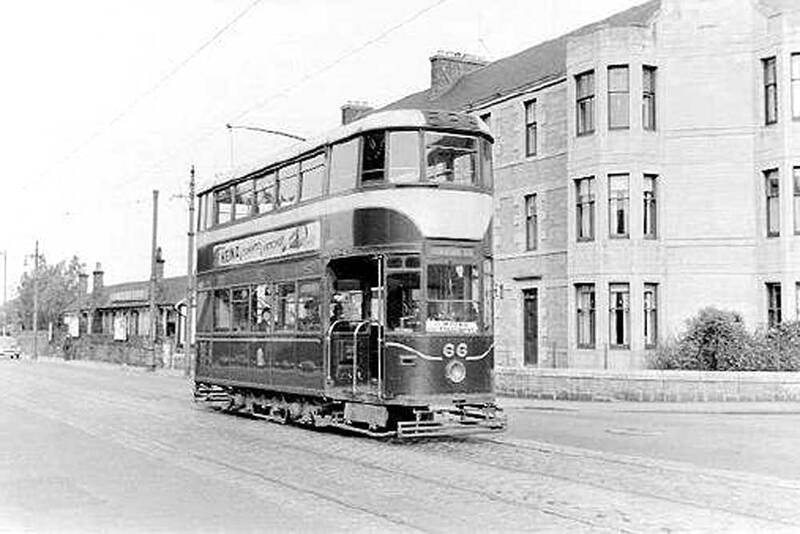 The first ‘through’ electric service was the 7, an Edinburgh route which had run from Nether Liberton to Pilrig, but was extended to Stanley Road, at the Craighall Road junction (The Lothian number 7 bus still follows the same route). The Leith Granton Circle service was extended up Leith Walk and then in a further loop via Churchhill to form services 13 and 14. 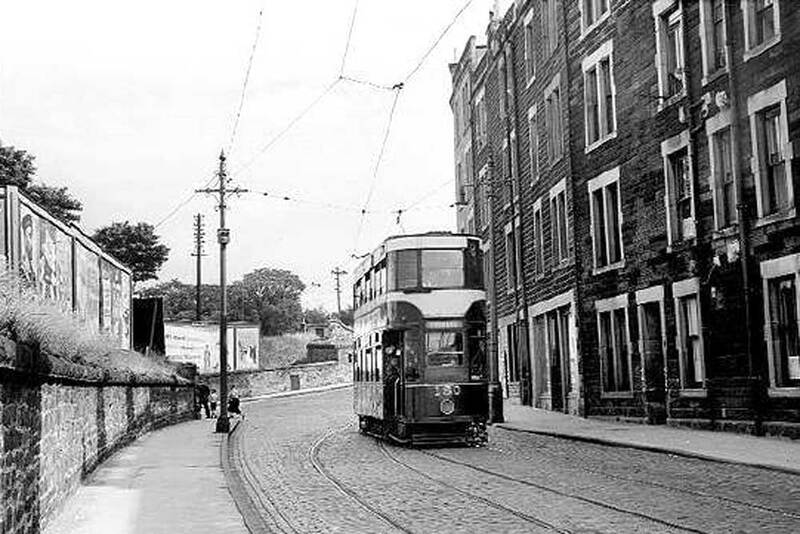 The Leith Corporation tramcars remained in use, and the former Edinburgh cable cars were converted for electric operation at the Shrubhill Works. The bodies were taken off the cable bogies and placed on new electric trucks, the bodywork was generally upgraded, trolley booms fitted to the roof to collect current from the overhead wire and electric controllers fitted at the driving positions. Cars that were open-topped were usually fitted with roofs (‘top covers’ as they were called at the time) and glazed ends although the last open-topped car survived until 1934. Routes that operated to Granton in July 1924, after the amalgamation of the two systems, or which were later extended to Granton, were as shown below. 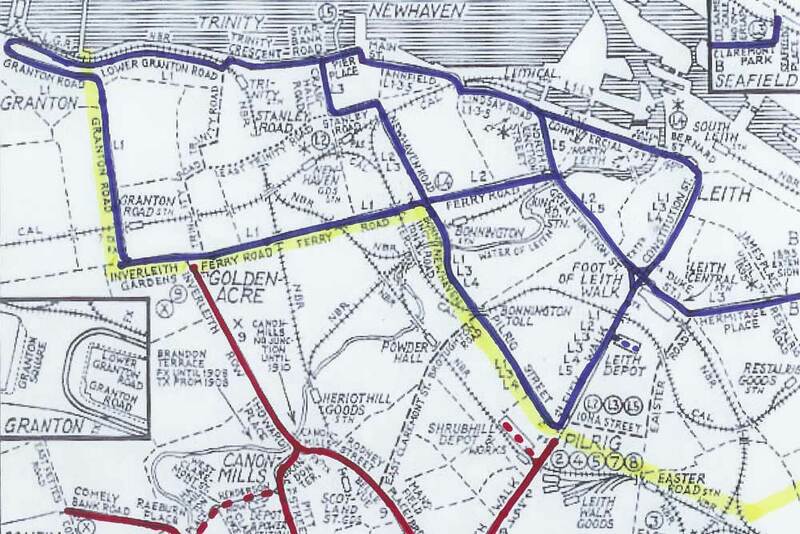 Click on the link to see how services had developed by 1952, and also the Route Colours, which were in use by mid-1924. At the same time, the fleet of tramcars was modernised. At first, this was just by continuing the process of enclosing the ends of the cars, which had previously been open, with glazing. The tramcars were painted in madder (popularly called maroon) and white, colours which could still be seen on the oldest Lothian Buses vehicles until September 2009 and are now (March 2010) making a re-appearance. Some areas, for example above windows, were brown. The Leith cars had been painted in fairly similar colours, described as Munich lake and ivory. Soon new designs of tramcar were produced. Some of these, in the 1920s, continued the traditional style but a number of experimental cars were bought in the early 1930s. These had a new look, some with curved roofs rather than the previous flat roofs, and all with a smoother more modern outline. 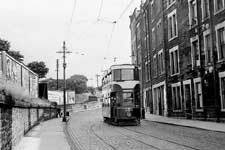 Most of the tramcar fleet was built by Edinburgh Corporation at Shrubhill Works. These were of two main types – the ‘Wooden Standards’ built from the 1920s until the mid 1930s, and the Shrubhill Standards, built from 1934 to 1950 and incorporating many of the features of the experimental cars. The following picture shows a Wooden Standard. And this one shows a Shrubhill Standard. 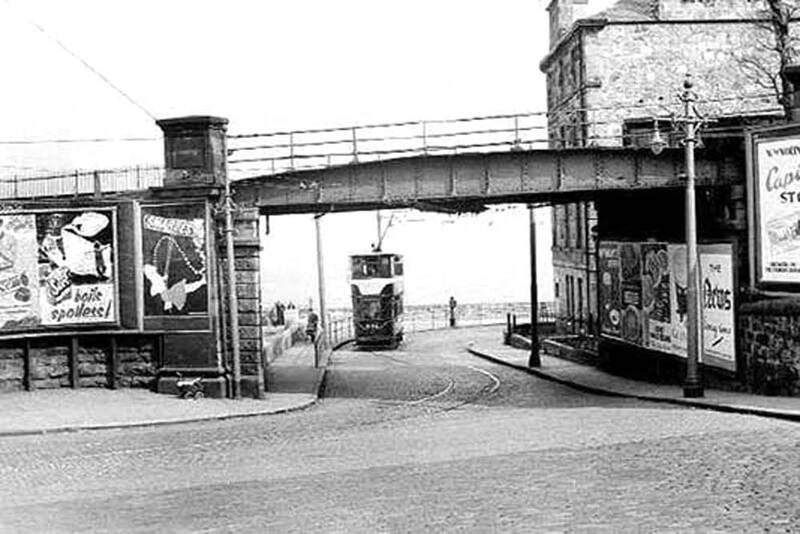 Almost all of the Edinburgh and Leith system was double track, with the tramcars running on the left as did other traffic. One exception was at Trinity Bridge, where Trinity Crescent forms a z-bend and connects to Lower Granton Road. The layout of the road is still the same, although the bridge that caused there to be an z-bend was removed some years ago. So that there was a large enough radius on the tracks, the line became single and the tracks swept back towards the kerb forming a ‘Tram Pinch’. This was to give as large a radius as possible. Road signs warned motorists, who could then take care not to be caught between tramcar and kerb. 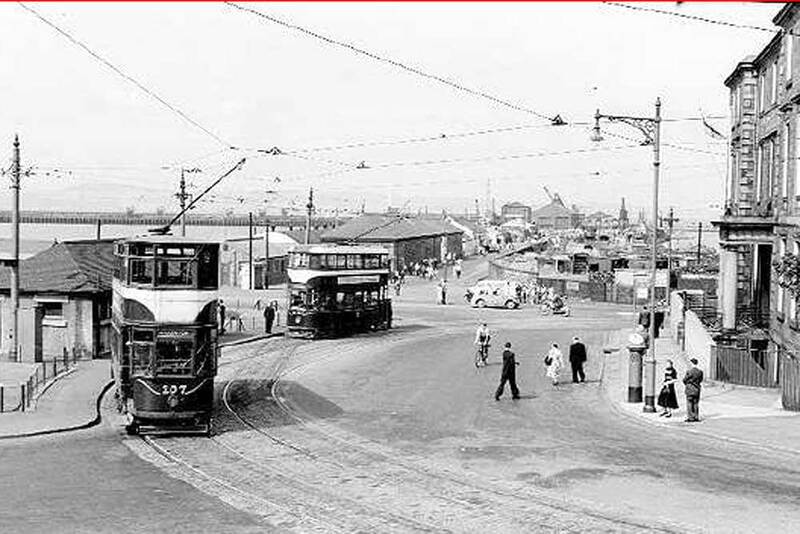 Visibility was obstructed by the bridge, so signals for tramcar drivers only were installed. These were fixed to the poles that supported the overhead line. The post immediately before the single line section carried a box fixed high up, and which showed either a red or green light. The post before that carried another box, with a handle on the end of a chain. As a tramcar approached, the conductor pulled the chain and if another car from the other direction was not already approaching, the signal changed to green. The points themselves were sprung, so that the moving blade normally guided a car approaching from the single line end onto the left track, but a car coming the other way pushed the blade back against the spring so that it could pass through safely without being derailed. 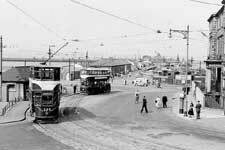 Granton Square was a major terminus for tram routes. From Lower Granton Road, the 2 and 17 terminated there – on Lower Granton Road, where there was a crossover that allowed them to reverse. The 8, 9 and 16 from Granton Road, terminated at the Square itself, reversing at a crossover just beside the public toilets (which are still there). And the 13s and 14s ran through the Square on their ‘circular’ route – more like a figure 8. 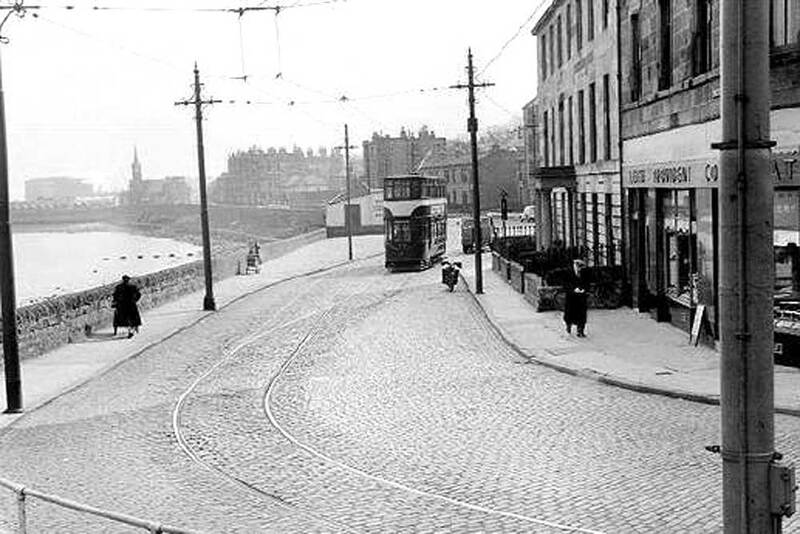 The 13 ran northwards through the Square then along Lower Granton Road. 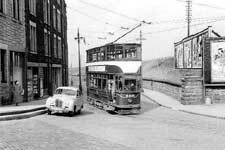 The route was then via Newhaven, Bernard Street, Constitution Street, Leith Walk, St Andrew Square, Princes Street, Lothian Road, Tollcross, Morningside Road, Churchhill, Marchmont, Hope Park, The Bridges, Leith Street, Leith Walk, Pilrig Street, Ferry Road and Granton Road to Granton Square. The 14 did the reverse – from Granton it set off via Granton Road. Some of these routes were altered at various times. 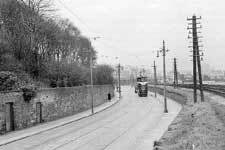 The Edinburgh tramway system continued in full operation through World War II, and immediately before the war extensions had been planned including one from the Ferry Road / Granton Road junction along Ferry Road to Crewe Toll. The 27 was to be extended to Crewe Toll instead of turning down Granton Road and terminating at Granton Road Station. Work started but was never completed and the rails that had been laid were later removed without being used. A number of factors combined to mean the end for the trams. 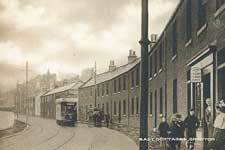 The city had grown over the years but the tram lines had not been extended into new housing schemes. Instead, short bus routes had been started connecting these areas with tram termini or the city centre. The electricity industry was nationalised in 1947, so instead of Edinburgh Corporation controlling both the tram operation and the power supply, and having them complement each other, power had to be bought from the South East Scotland Electricity Board (later to become the South of Scotland Electricity Board). Finally, there was an image problem – the tramcars were seen as rather dated compared to diesel buses. The service was run down fairly quickly once the decision had been taken and the last car (a 23) ran on 16 November 1956. The routes were mainly replaced by buses following similar routes, the bus service normally starting the morning after the tram service ceased. Page credits: Written by David King. 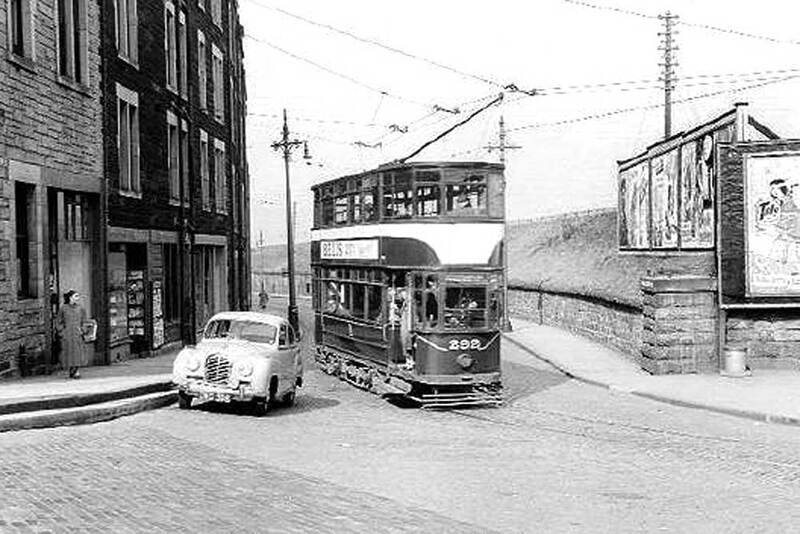 Photographs courtesy of National Tramways Museum. Leith map base by the late J C Gillham.